A client's brows after the extension service. Recognizing clients’ needs and providing them with solutions that no one else has offered is a sure way to attract new guests and retain a strong clientele. Rebel’tude Salon and Spa in Gig Harbor, Washington noticed that amidst the rise of bold brows, many clients complain of naturally thin or overplucked eyebrows. Esthetician Mindi Bergman specializes in eyebrow extensions, a service that provides these clients with thick, defined brows. The brows before the service. Process: Guests lie down and relax as individual eyebrow hairs are attached to either existing hair or to the skin itself to create a fuller brow or correct misshapen or missing brows. “This is done one hair at a time in a meticulous and precise manner that results in beautiful, natural looking eyebrows,” says Bergman. Minor Brow Reconstruction — for naturally full brows needing minor attention, gap/scar fill-in or filling in a brow tail. Half Brow Reconstruction — for good brows that need more fullness/shape completion, to add fullness to overplucked brows or to add a full tail to a brow. 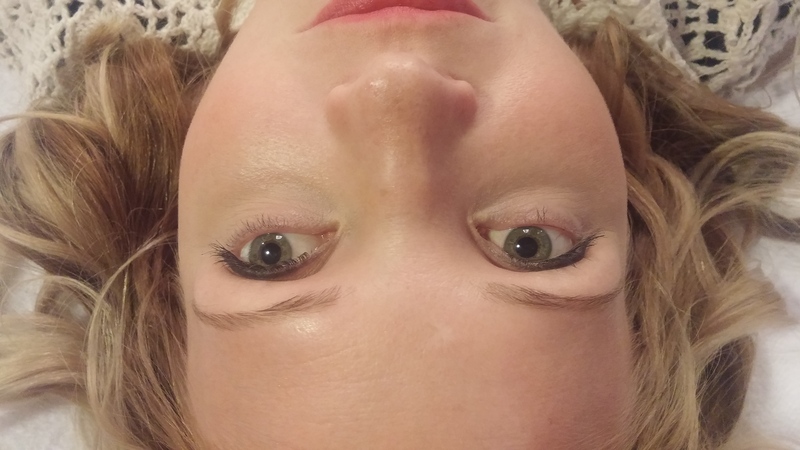 Major Brow Reconstruction — very thin or very little natural brow hair; builds majority of brows. Complete Brow Reconstruction — no natural brow hairs; builds entire brow. How long does the complete service last: Varies from 2-4 weeks depending on the type of attachment. Attaching extensions to existing eyebrow hairs will last longer than attaching directly to the skin. Cost: $45-$175, depending on which level of eyebrow reconstruction is required.